November 6, 2017 – Headup Games is proud to further expand its partnership with Nicalis, Inc. by announcing the upcoming physical release of Wonder Boy: The Dragon’s Trap for Nintendo Switch™ and PlayStationⓇ4 at major retailers in Europe as well as Australia/NZ. Headup Games and Nicalis are partnering with DotEmu for this retail release. Wonder Boy: The Dragon’s Trap is a beautifully drawn and animated remake of the unforgettable Sega Master System game Wonder Boy III. Cursed and turned into a half-human, half-lizard monstrosity by the Meka Dragon, our hero will have to explore the many traps of Monster Land in order to find a cure. The game’s developer, Lizardcube, reverse-engineered the original game in order to faithfully replicate the character movements, item drop logic, secret door locations and much more. 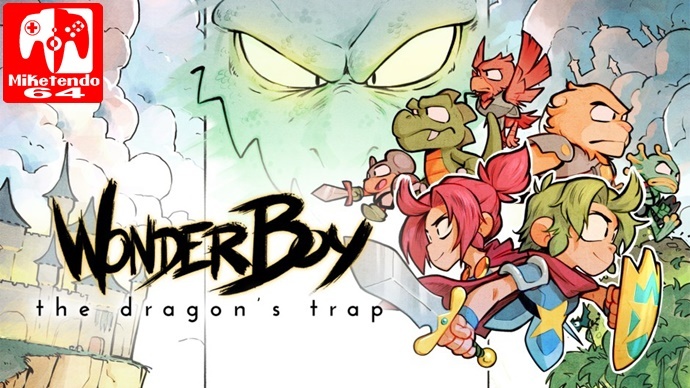 Headup Games’ retail editions of Wonder Boy: The Dragon’s Trap are currently planned for release in the first quarter of 2018 with a MSRP of €39.99.